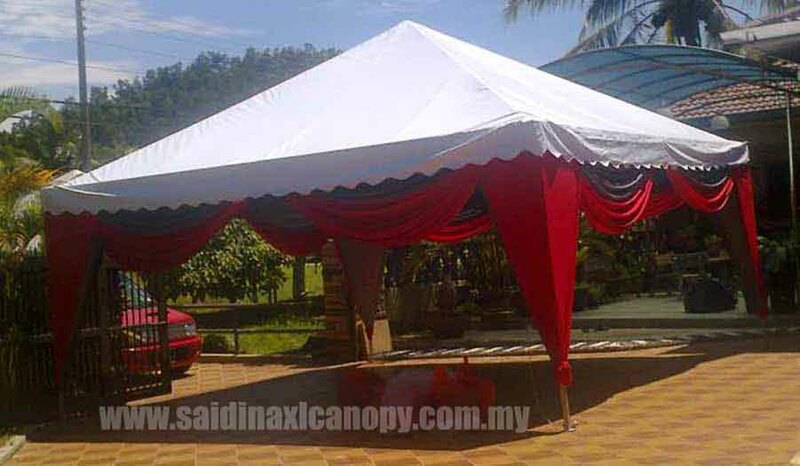 Canopy 2-in-1 (Arabian & Pyramid) 20� x 20� for ju - Iklan Percuma. Malaysia Free Classifieds. Job Vacancy, House for Sale, Business Opportunities, Automative, Buy and Sell etc. We have canopy 2-in-1 which can be readily used for your rental purposes. It is high quality canopy with real 1.6mm 20' x 20' metal frame (galvanized) and high quality canvas (anti-UV) from Korea). The canopy is specially designed to be used for rental purposes and can be used for both Arabian and Pyramid shapes by changing the canvas and the angle joint only. it is very simple and easy to install. Saidina Excel Canopy is a leading canopy supplier in Malaysia We offer the cheapest high quality canopy and canvas. We are specialist in all types of canopy, tent, shades and canvas. We supply high quality canopy and all the related accessories (eg. 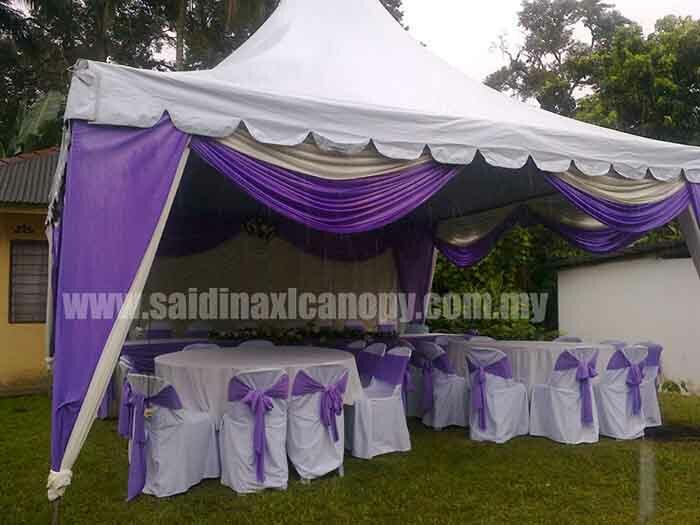 round & square tables, plastic & banquet chairs, tablecloths, seat covers, scallops, ceiling fans, bulbs, scallops etc) with the cheapest price to all canopy rental operators throughout Malaysia. We have our own factory with a capacity of 20 units of canopy per day. All our canopies are specially designed for heavy duty, durable and user friendly. We are not just selling our products but in addition, we serve our customers with marketing support by helping them in advertising their business such as creating a website (subdomain) for the starter kit. We are fast growing company looking forward to widen our market to the global. We have great offers to all our potential customers from the overseas who are looking for the high quality canopy.